The building that once stood on the southeast corner of West 52nd Street and Lafayette Road has frequently been mistaken as having been a former location of Pike High School. The three-story brick structure with stone trim was indeed a Pike Township public school, but it was never a high school. It was an elementary school that housed grades 1-8. The first school in Pike Township was conducted in a cabin on the west bank of Eagle Creek in 1822, the same year that Marion County was organized. Other schools popped up in cabins around the township in the 1820s, 1830s, and 1840s, but there was no official school system in place until the township was sufficiently settled to establish one. In 1853, the township was divided into twelve school districts. Over the next few decades, a dozen schoolhouses — most of them just one-room or two-room frame structures — sprang up around the township. In 1889, there were twelve schools operating in Pike Township. 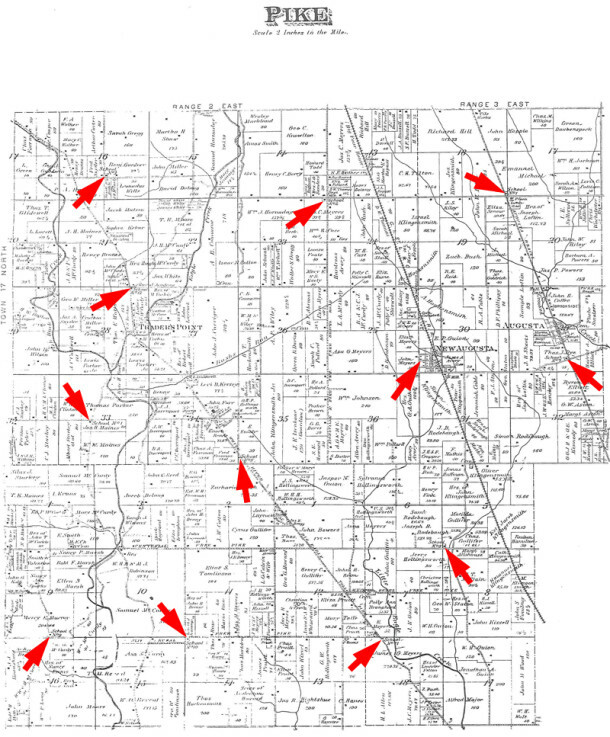 Although each of the Pike Township schools was numbered, most of them also had names associated with them. The school at 5199 Lafayette Road was officially School No. 11, but it was alternately called “Snacks Crossing School.” Built in 1913, the three-story brick building replaced a one-room schoolhouse that had stood a few blocks further south for about half-a-century. The second School No. 11 got its nickname from being at one of the busiest crossroads in Pike Township. Besides serving as a meeting place for local residents, that corner was also one of the last stops for travelers leaving Indianapolis on US Route 52. For many years, there was a bus stop at the corner of West 52nd Street and Lafayette Road. The grocery, gas station, and restaurants at that intersection were the places at which local people got together with neighbors and travelers stocked up on items for their trips north to Lafayette and Chicago. 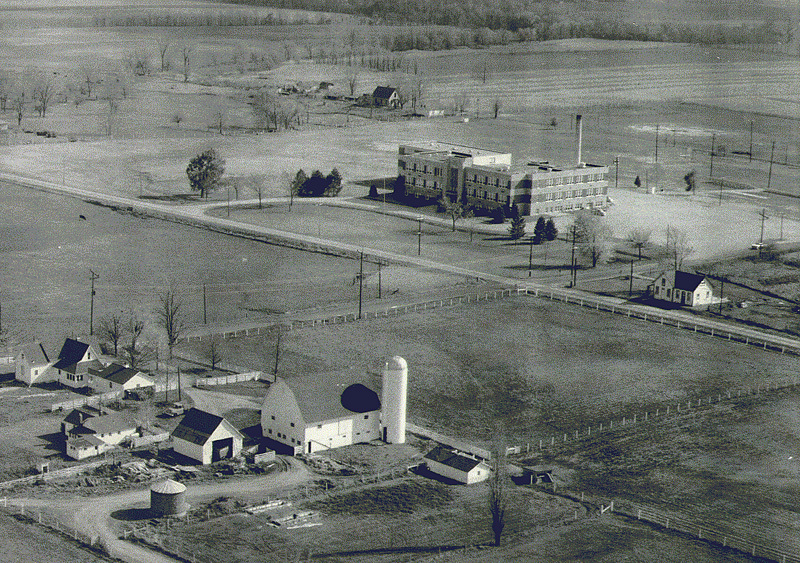 After 5199 Lafayette Road ceased to be a school, the building housed a variety of different businesses over the years. Its longest (and final) use was as Earl’s Auction Company & Liquidators, which was established in the mid-1950s by Earl Cornwell, Sr. 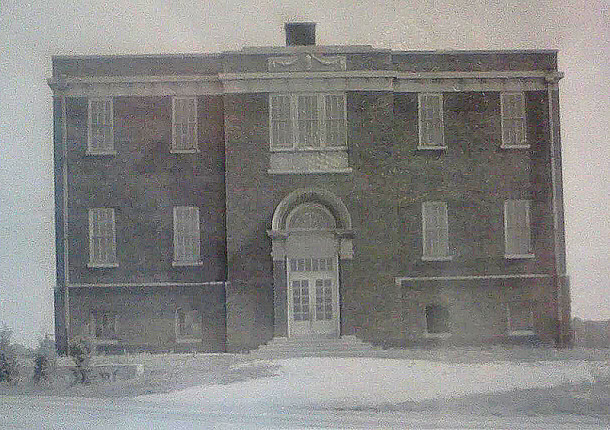 The old school building was eventually demolished, when Earl built a new facility just south of it. A gas station now stands on the corner where the school once stood. When the 1913- built Pike School No. 11 was being razed, the stone arch over the entry and some of the bricks from the exterior of the building were saved. They were incorporated into the new Snacks Crossing Elementary School at 56th and Moller Road, which was given its name in honor of that piece of Pike Township history where the name originated. However, at 5455 West 56th Street, the current school is almost a mile north of the original Snacks Crossing. The first school in which high school courses were taught in Pike Township was not actually a high school, but an elementary school. Pike Township School No. 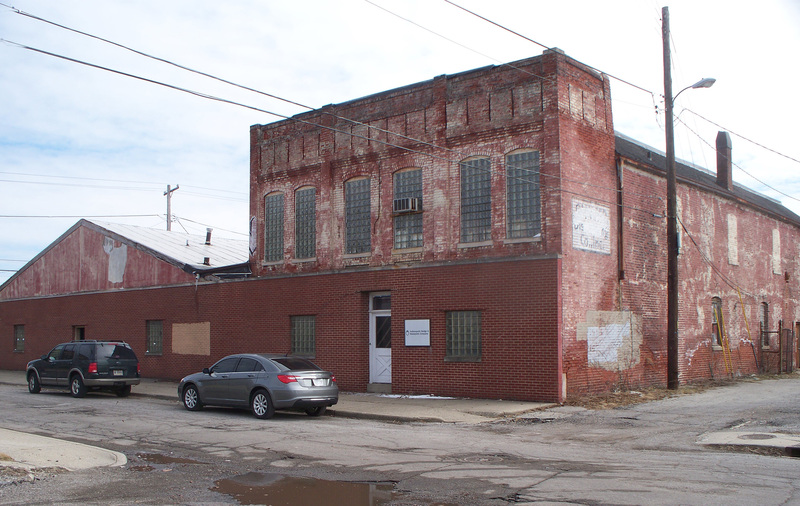 6, which was located in New Augusta at the intersection of W. 73rd Street and Coffman Road, began to offer secondary-level classes in the fall of 1889. Compared to all of the other district schoolhouses, the four-room, two-story building was quite large. As there were only a few students wishing to take high school courses at the end of the 19th century, a separate high school was not yet warranted. The high school students’ classes met on the upper level of the elementary school. The first two students were graduated from high school in 1892. 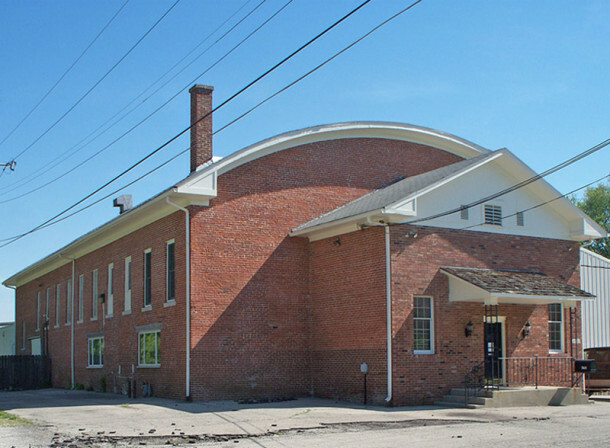 That 19th-century elementary school building later became the gymnasium for the high school that was built next door to it. Although the high school building is now gone, the former elementary school and erstwhile gym is still standing today. It is privately owned and houses a heating and cooling company. 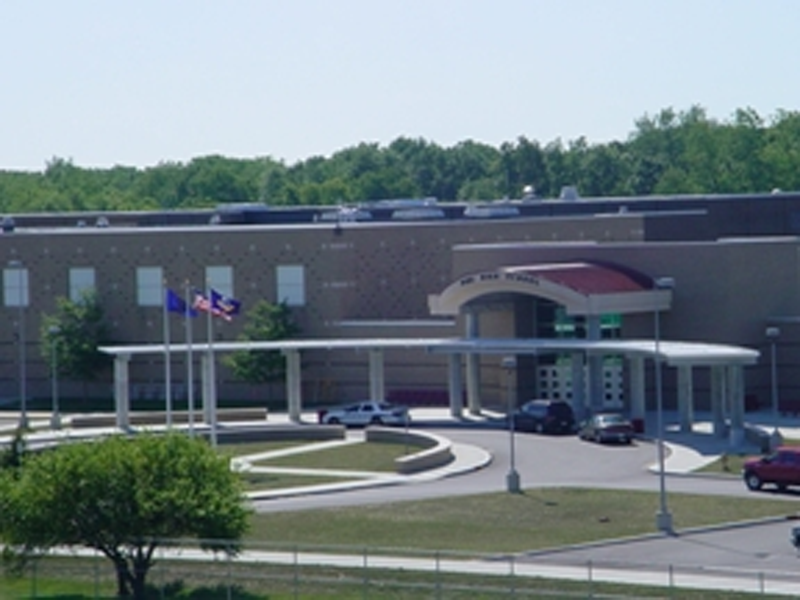 There have been three incarnations of high schools in Pike Township over the past century; however, only two of them were named Pike High School. The first high school in Pike Township was built in 1909, in School District 6. It was called New Augusta High School. It was located on the northwest corner of W. 73rd and Pollard Streets. The building no longer exists. The second high school in Pike Township was built in 1938, on the southeast corner of W. 71st Street and Zionsville Road. 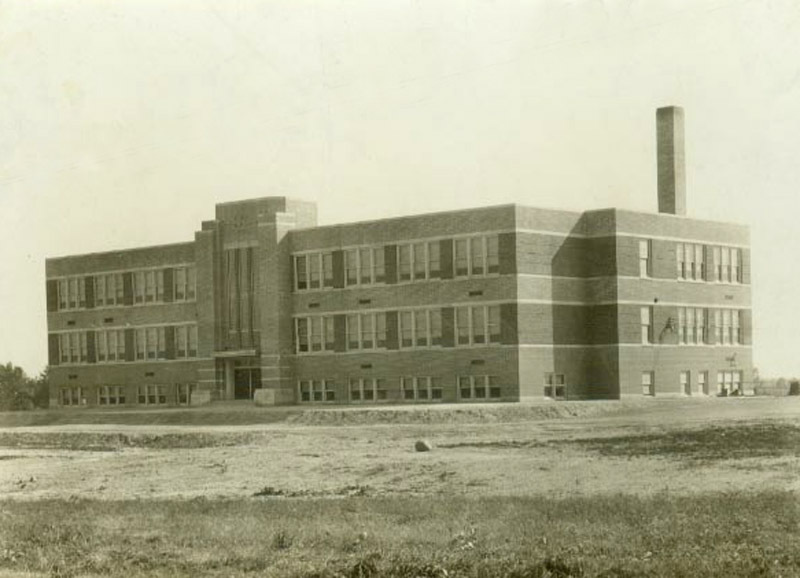 It too was called New Augusta High School for the first few years of its existence, but by 1945 was renamed Pike High School. When yet another new Pike Township high school was constructed in the 1960s, the existing facility then became Lincoln Junior High School and later still, Lincoln Middle School. That building no longer exists either. When the building that would become the second of the three high schools in Pike Township first opened, it housed children from first grade through twelfth grade. The twelve small district schools sprinkled throughout the township were closed, and all students in all grades were sent to the new building. Gradually, new elementary schools were built throughout Pike Township to replace the old schoolhouses, and the younger students then returned to the schools in the districts where they lived. Eventually, the new high school accommodated high school students only. The third incarnation of Pike High School was built in 1965 on land south of second high school. The current Pike High School has had numerous additions and enhancements over its 47+ years of existence. As mentioned above, the building that had previously served as the high school for about a quarter of a century became a junior high school in 1965 and later a middle school. A new middle school has now replaced the 1938 building. 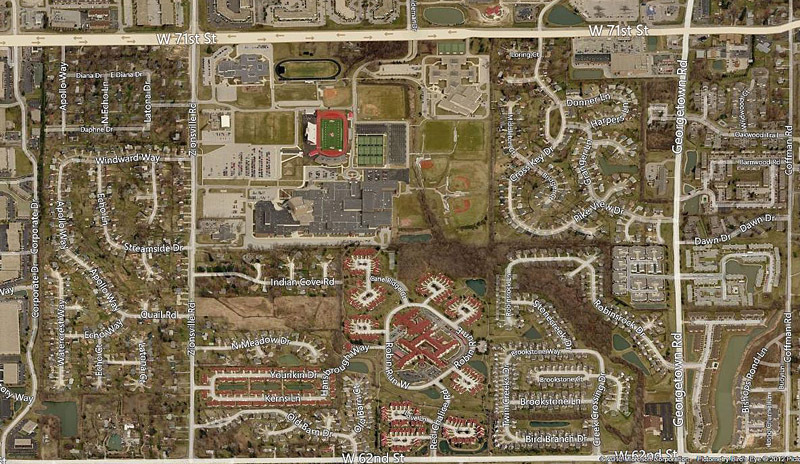 The present Pike High School campus is located on more than two acres at 5401 W. 71st Street. After multiple expansions, the main building has nearly 96,000 square feet. The student population is about 3,000 and includes grades 9 through 12. If you attended Pike High School, Historic Indianapolis would enjoy hearing your memories. You can leave a comment below. See you Sunday, at least at the end of the concert at Christ Church Cathedral. The current Lincoln Middle School was built circa 1995, and the 1938 building was subsequently demolished. An elementary school built in 2003-ish now sits on the site. My folks were big auction-goers in the 1960s and 1970s. 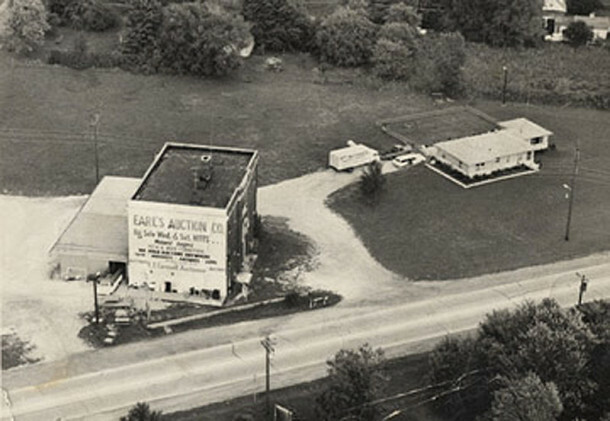 I remember spending many Saturdays at Earl’s Auction as a little kid. The idea that it used to be an old school fascinated me. Great to finally know its history. Thank you for this story/history of Pike Township schools. I am a member of the Pike Twp. H.S. Class of ’66. We were the first class of seniors to graduate from the “new” Pike High School building (with the planetarium and the swimming pool). All our undergraduate classes were in the 1938 building. I always loved the natural lighting in the “old” gym. Sharon, this is just fantastic, and I commend you for this great website. 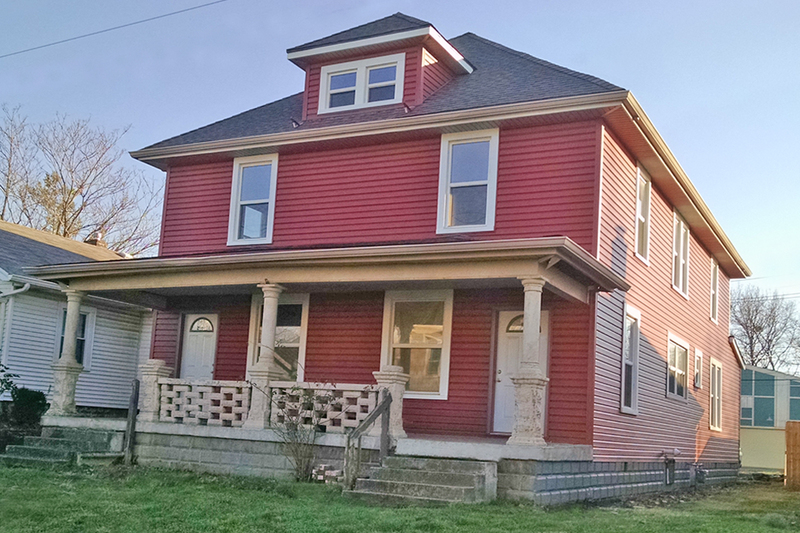 Our house at 7889 Moore Road is directly across the street from the site of #12, one of the township’s earliest schools. The school was located in a wedge of land between Lafayette and Moore Roads on property now owned by Bo and Nancy Elder. But the best part of the story is that prior to the school on the site, there was a church building, constructed before the platting of Traders Point in the 1850s, in which itinerant preachers, including Henry Ward Beecher of Second Presbyterian Church, frequented. According to historian Barry Sulgrove, Rev. Beecher preached here until 1847, at which time he and his wife left Indianapolis (on the first train ever to head east from Indiana)! Most folks have forgotten or never knew that Henry Ward Beecher was once known as the most famous man in America, as well as the brother of Harriet Beecher Stowe. Although his presence in the area predates the village of Traders Point, Sulgrove confirms the existence of an 1840s church in this still agrarian part of Pike Township. Maps from the 1880s confirm the site of the church would later become School 12. Thanks. We are indeed lucky to have Sharon as one of our contributors to Historic Indianapolis.com–thanks for sharing! THANK YOU so much for researching this – not just for me but for everyone who had this same question. You all never cease to amaze me with the vault of information you continue to build. What an invaluable resource you are for our city. You do such a great job in helping us to learn more about our past, which in turn, helps us with our present and future. Great information. Thanks so much for the hard work and sharing it with us all. A question I have is on the Traders Point area. How did it get its name, what are the real boundaries, what was at the location, and what happened to them when they had to move because of flooding? The spot where Eagle Creek crosses Lafayette Road is a logical guess. This would have been a point where trade was most likely to occur between the fur traders and the Indians. There is considerable evidence that exactly such activity took place. The first white man known to have owned property in the area was William Conner, a well known fur trader who used his knowledge of the Indians and their culture to negotiate treaties with the Indians on behalf of William Henry Harrison, the first governor of the Indiana Territory. Conner bought a single parcel in Marion County, an 80 acre parcel that included the exact spot where Eagle Creek and Lafayette Road intersected. At that time, in 1823, Lafayette Road had not yet been platted. But by 1835 it would become the first road through the township, evidence that it may have been a familiar trail to the traders and Indians at the time of Conner’s purchase. The map above is from the 1956 quadrangle map and predates the construction of Eagle Creek Reservoir and Interstate 65. At that time Dandy Trail entered Traders Point and Lafayette Road south of a gas station now occupied by a city transportation garage. Thank you for answering Randy’s question. There’s no one better than you to answer a question about Traders Point! I live in the 5300 block of W. 46th St., and from my own research and understanding, there was a schoolhouse, 1-story, brick, standing at the intersection of what is now W. 46th St. and Lafayette Road. Harry Hollingsworth, a local historian/sage told me that this school was known as the “Limbo” school because you were suspended between Heaven and Hell if you attended. The teacher switched Henry Himes around 1915 once too often and to get revenge, Himes stuffed all of the teacher’s switches in the school stove. The school burned down. It was described as a one story brick building. School was held in Mrs. John R. Myers’ kitchen across the street. This school is on an 1864 map of Pike Township and also on the 1889 map above, apparently listed as School No. 11. It does not appear to be at 5199 N. Lafayette Rd., where the 3-story building was built about 1913. The Limbo School would have been located at where the main entrance to Walmart is now. In the 1960’s this area was empty except for trees. 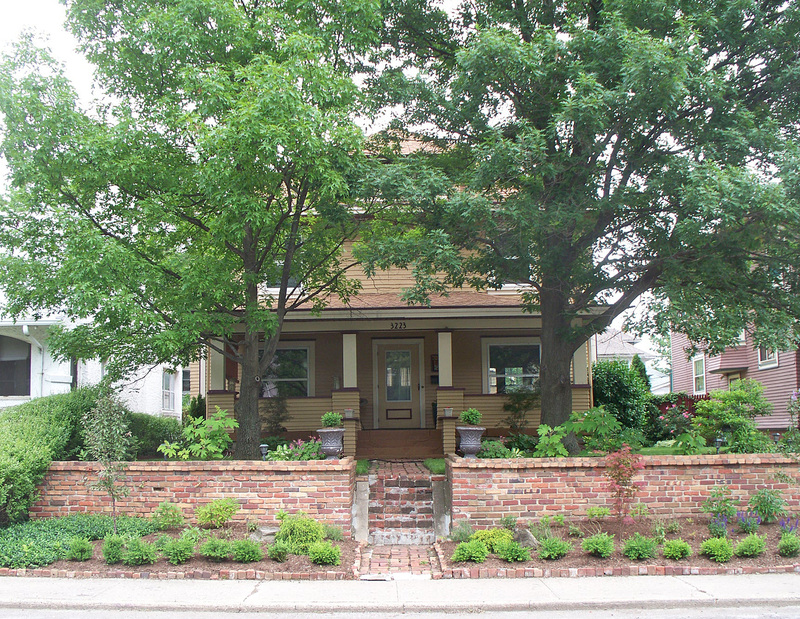 John R. Myers (1859-1929) had a two-story brick home at the SW corner of 46th & Lafayette Rd. This imposing home was still standing about 1964 but was torn down and replaced with a Standard/Amoco station. This lot is now vacant. My great (or great-great, not sure) grandfather was one of the first schoolmasters in Pike Township…he traveled by horse-drawn wagon to the students. I have a picture of him and the school wagon with his students beside him. I also recall one of the floods in Traders Point…US 52 was under water at the bridge across Eagle Creek. There was a small grocery store on the NW corner (Dandy Trail and 52)…Rudy’s Gas station was just north of that, as was the Co-op and George Wilkins garage. There were also houses on the hill just past the grocery and between Rudy’s and the Wilkins garage. They were on higher ground than those on the east side of 52. My grandparents prepared meals at their restaurant on Lafayette Rd (Snyder’s Dinner Bell), and my grandmother loaded the meals in the back of her Buick and we delivered them to the folks in Traders Point. We unloaded them by backing the Buick down to the flood waters edge at the bridge, and the men from Traders Point put on high boots and waded across to get them and deliver them to the folks in Traders Point. 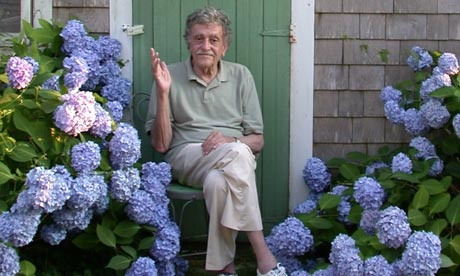 I’m not sure of the year, but I was very young, and I’m 73 now! I live at 52nd and Dandy Trail. Is this where you say Rudy’s grocery store was?